Bible Study Fellowship (BSF) is an inter-denominational, independent Bible Study founded in 1959 by the late Audrey Wetherell Johnson, who had been a missionary to China. The mission for BSF is to have global, in-depth Bible classes producing passionate commitment to Christ, His Word, and His Church. BSF currently has over 1000 classes around the world, including classes for women, men, and young adults. The Houston area has 10 day women’s classes, 6 evening women’s classes, and 6 evening men’s classes. The format for BSF is four-fold, beginning with daily lesson questions from the Scripture. The second step is discussion of these questions in a small group atmosphere. Step three is listening to a lecture of that same passage, and step four is notes that provide further information on the passage. Classes meet ~30 weeks each year, with breaks at Christmas and during the summer. BSF currently has the following ten studies: Genesis, Life of Moses, History of Israel 1, History of Israel 2, Isaiah, Matthew, John, Acts of the Apostles, Romans, and Revelation. The current study is Revelation and John is planned for this fall. BSF recently added the option for satellite discussions groups, which meet separately from the host class. We have the opportunity to have women’s and/or men’s satellite groups here on the ExxonMobil campus, likely meeting immediately after normal work hours for ~2 hours. If you are interested in this opportunity to study God’s Word, please contact Stuart Holland via his MySite. 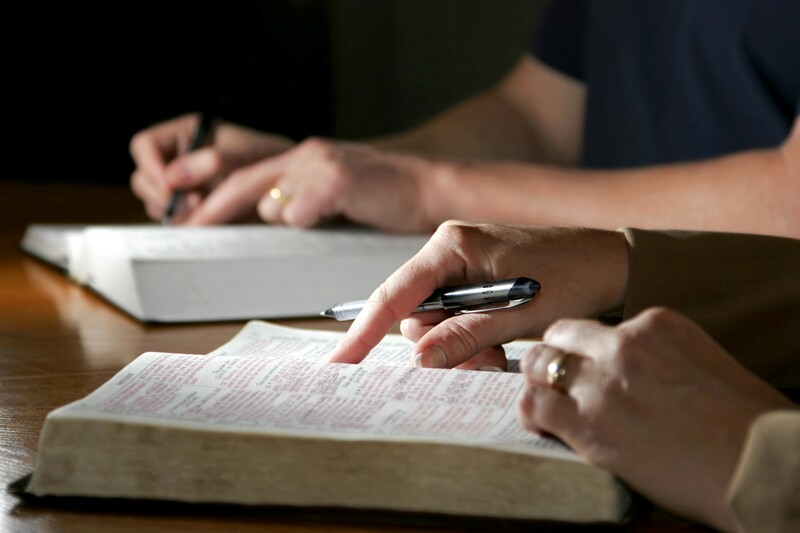 Further information about Bible Study Fellowship is available at bsfinternational.org.